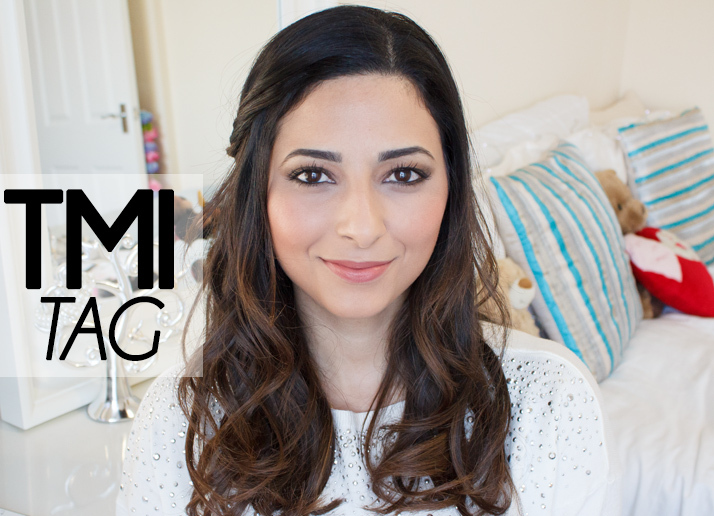 For my mid-week video I needed a bit of breather from beauty, so decided to do a tag video; the TMI Tag has been going around for quite some time now, but it’s never too late to jump on the bandwagon, right? The questions were actually really cool; not too TMI and some really interesting ones that had me thinking long and hard about the answers. If you’ve already done the TMI Tag on your channel or your blog, leave the link on the comments so I can nose around :) If you haven’t done it yet, I tag you! Thank you to the lovely Sabrina from A Little Obsessed for tagging me! Her blog and youtube channel are absolutely amazing and one of my favourites so you should all go follow her blog and subscribe to her youtube channel. The questions are all bellow in case you’re interested in doing the tag.